Sixty years after they were first laid out by Geoffrey Jellicoe, the master planner of Hemel Hempstead, the water gardens – a key element in his vision of a ‘city in a park’ – were in need of restoration. 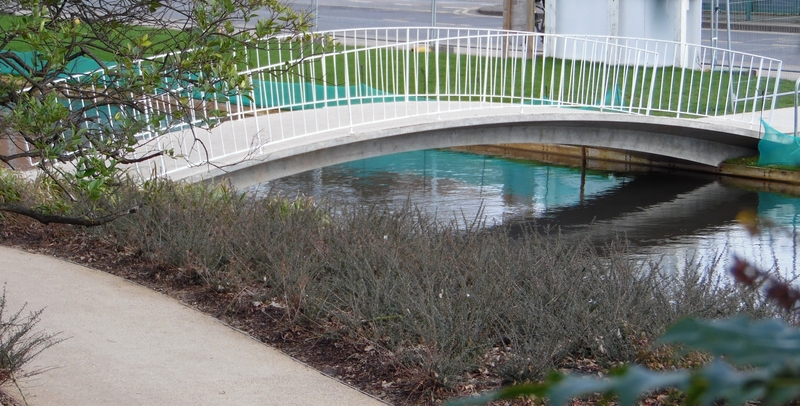 In particular, the artificial canal at the core of the town required attention, including seven bridges that connect the centre of the new town to green space and car parks beyond. Four of these were arched and three flat decked. On inspection the bridges, cast in-situ from reinforced concrete, were found to be unsound and beyond practical repair. Retention of the bridges was essential with designers and Historic England keen to replicate the original Jellicoe design. The shallow arch was a deliberate ploy by Jellicoe to slow pedestrians and give them time to appreciate the tranquillity of the water, green space and wider urban vista beyond. Clever use of different levels, such as hiding the car park at a lower level, allow the eye to link close and distant green spaces creating an impression of a much larger, open green area. 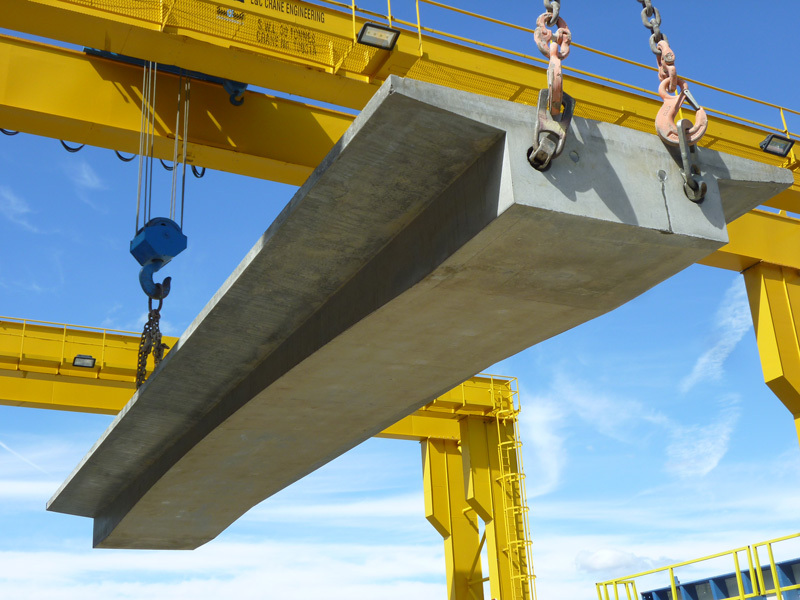 Read more in Concrete Magazine. 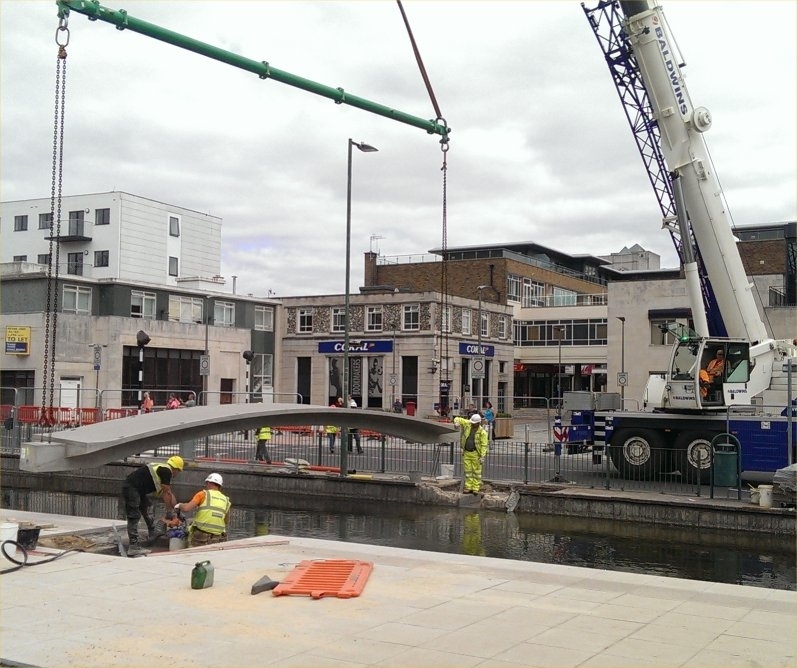 Supply and installation of seven bespoke reinforced concrete footbridges matching the original Geoffrey Jellicoe design.